The International Chamber of Commerce (ICC) is in Cannes, France this week marking the first in a series of events to celebrate the 80th anniversary of the ICC Consolidated Code of Marketing and Advertising Communication Practice (ICC Code). ICC presented the Code during a networking cocktail hosted in partnership with the French Association of the Communications Agencies (AACC), at the French Camp Cannes held on the margins of the Cannes Lions International Festival of Creativity. During the celebratory event Ximena Tapias Delporte, Vice-Chair of the ICC Commission on Marketing and Advertising, President of the Colombian Commission on Advertising Self-Regulation and Stéphane Martin, General Director of the French self-regulatory organization ARPP and Chairman of the European Advertising Standards Alliance (EASA) shared their perspectives on the Code and its broader application at international level as the foundational instrument of advertising self-regulation. The ICC Code was also presented at the International Advertising Association (IAA) cabana on Monday 19 June where Carla Michelotti, Vice-President of the IAA, interviewed Stéphane Martin on using the Code to ensure best practices in the advertising industry and to build trust with consumers. “Over the past 80 years, the ICC Code has played a key role in providing principles that help build trust with consumers—assuring them of advertising that is honest, legal, decent and truthful,” Stéphane Martin said during the interview. 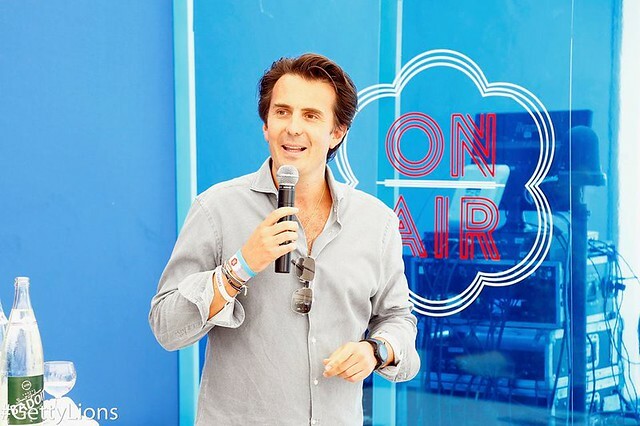 The Cannes Festival is an opportune occasion to reflect on the need for responsible marketing communications for our consumers, Yannick Bolloré, Chairman and Chief Executive Officer of Havas, told participants during his keynote remarks at the cocktail. The ICC Code helps build trust with consumers by assuring them of advertising that is honest, legal, decent and truthful. It also provides guidance on many contemporary issues including online behavioural advertising, digital interactive media, environmental claims, privacy protection and marketing to children. As a global reference point and harmonizing instrument for international best practice and advertising self-regulation, the Code is the most authoritative international advertising standard and a foundation for industry coherence. Mr Bolloré elaborated on the practical role the ICC Code plays in creative communications campaigns. The Code provides ethical guidelines that create a level playing field for businesses worldwide, minimizing the need for legislative or regulatory restrictions. What’s more, as new practices and technologies have evolved, ICC has continually revised and extended the scope of the Code to assure its usefulness and relevance. Over the years, the ICC Code has served as the foundation and building block for self-regulatory structures around the world and as a recognized and trusted rule-setter in marketing and advertising, ICC will continue to build trust with consumers and acceptance for the role of self-regulation around the world. The Cannes Festival of Creativity brings together a diverse community of communications, marketing, entertainment, design, and tech talent from 90+ countries worldwide to learn, network, and celebrate. The 80th anniversary of the Code will also be celebrated at a range of industry events throughout the year.